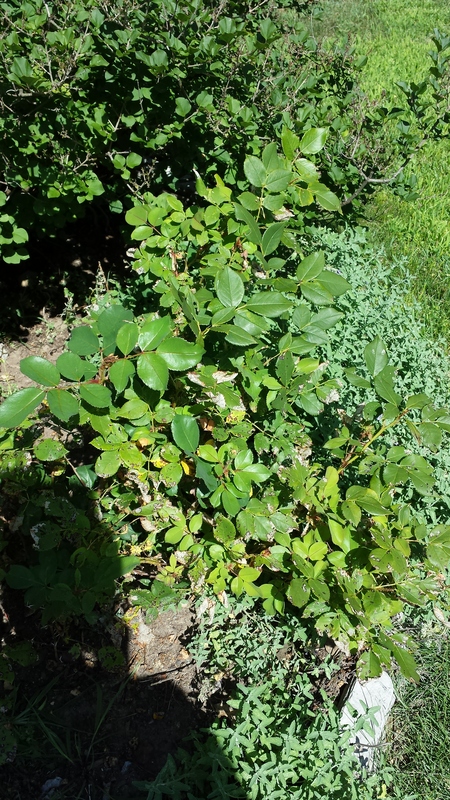 Are Knockout Roses Disease and Insect Proof? This is a yellow Knockout rose. While the foliage may look pretty good, look closer. There’s yellowing foliage beneath the new growth and insect chewed foliage, and even some diseased foliage. What gives? I thought Knockout roses were bullet proof?! Well, yes, so did I. And in my yard, most of them have proven to be. But certain roses, including this yellow Knockout (and Home Run, a rose that is supposed to be an Earth Kind rose but that is just about dead in my garden–go figure!) just don’t grow well. That the yellow Knockout should be less vigorous makes sense. Yellow roses in general are weaker. It’s just a known genetic wrinkle. I’m not quite sure why that variation exists, but it does. And as yellow roses go, this is still a darned good one! But contrast it with the Original Knockout, which towers over my head and which I have to whack back every year–including this “polar vortex” year. There’s quite a difference. Even my pinks, while not quite this vigorous (because I stupidly planted them under a tree which has now overtaken them!) are not spotted or insect eaten. But oh well. I do love yellow so I’m willing to put up with a little imperfection. How else will folks know this is an organic garden? You are so very lucky to have such beautiful shrub roses this year. I have about 20 in my yard. All hybrid teas really got zapped all the way to the ground after this past winter. A very hardy climber, Polka basically got killed to the ground. I think I had about 2 flowers this year. My double red knockouts struggled with the wet cool spring only to get some kind of disease and lost nearly all their leaves. Then the japanese beetles were the worst in my yard in 5yrs. Only old garden rose, Zephirine Drouhin seems unfazed. Most of my roses are just coming back now. So, whatever you’ve done, you’re doing it right. I only grow shrub roses, which seem to be hardier for me. I have a really tough site–clay soil which roses hate. One thing that you may try to help you with your beetles issue–try planting catmint with your roses. I did it because lavender won’t grow in my clay. 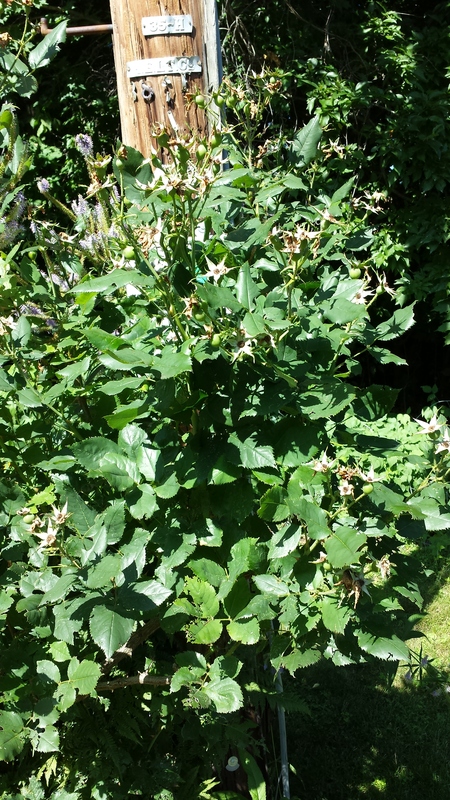 To my delight I’ve found it also seems to deter beetles of all sorts–Japanese, Asiatic and oriental. There now seem to be some studies that are actually showing this as well. Don’t despair about your roses–just about everyone I know lost something–or multiple somethings–this past winter. It was brutal!